Our plants were tiny seedlings when we began the garden. 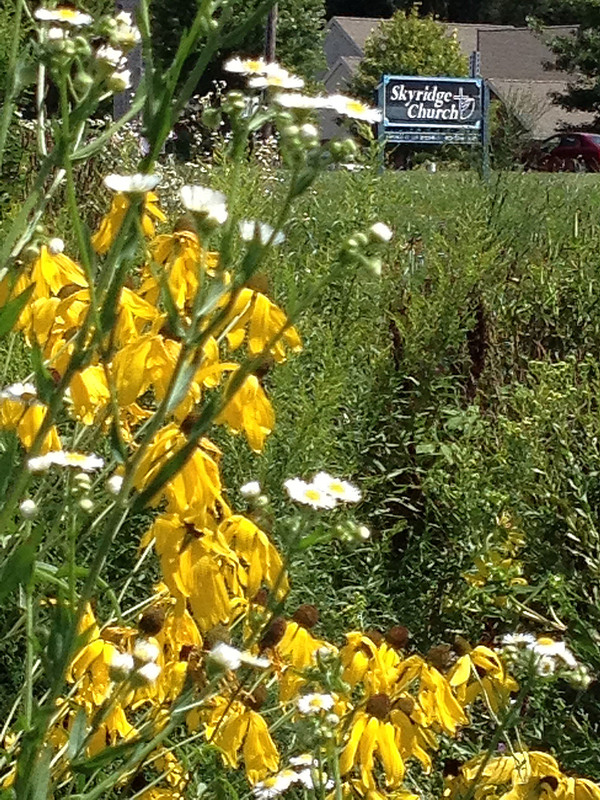 Pictures often show native plants in their established glory. Young plants can be hard to recognize. Many do not bloom in their first season but can prolifically set seed in following years. Baby plants often lack the distinctive blooms and leaf structures of more mature specimens. Butterfly weed has distinctive orange blooms in July. Plants can be slow to establish but are very sturdy and drought tolerant. Asclepias tuberosa is one of the native milkweeds that Monarch caterpillars rely on for food during their development. Flower clusters vary from bright orange to orange-yellow and appear in July. After pollination butterfly weed forms slender seed pods filled with hundreds of seeds each with their own silk parachute. Pods open in August and release butterfly weed seeds to the wind. If they find new and promising ground they will spend the winter under the snow stratifying in the cold and wet. Stratification is the period of time seeds spend softening their shells and preparing for germination in the spring. Skyridge Wildlife Garden weaves a tapestry of colors, shapes and textures throughout the seasons. A variety of pollinators visit the Skyridge Wildlife Garden both for food and shelter. Regal Monarch butterflies forage on the rosin weed. Leatherback beetles feast and mate. Bumble bees investigate every bloom on the native hypericum shrubs. The garden hums with pollinators all through the season, but especially in late summer when goldenrods and asters are in full glory. 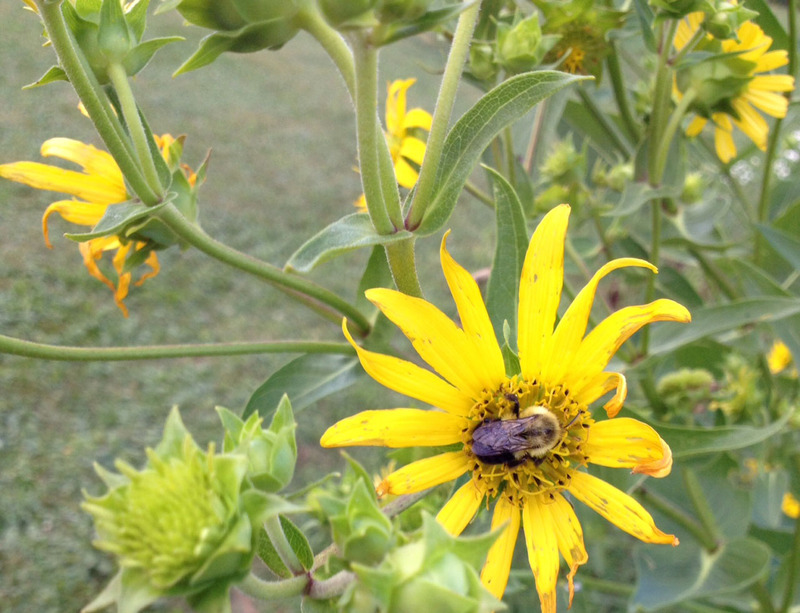 Downy Sunflower treats a bumble bee to a buffet of late summer pollen. 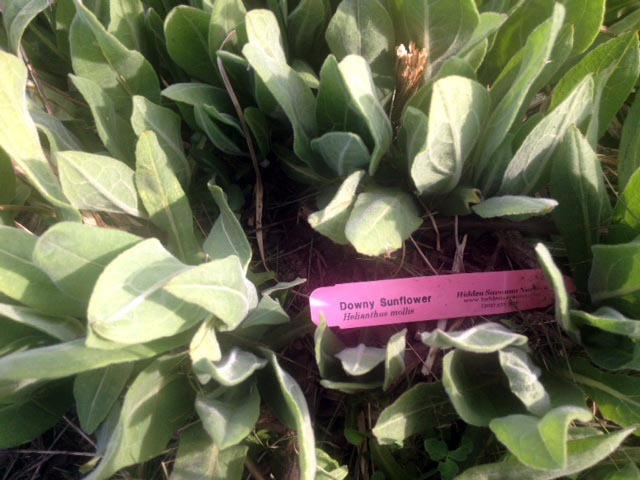 Several varieties of milkweed provide a nursery for Monarch caterpillars in the garden. 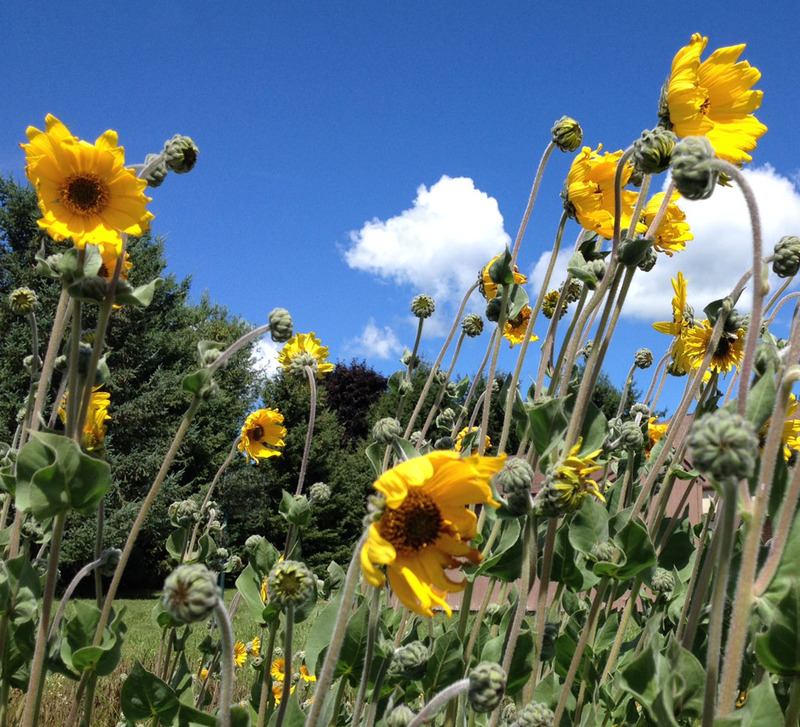 This Saturday, August 8th, 2015 we will host a garden tour from the Kalamazoo Area Chapter of Wild Ones! We will be the final stop on their tour with the group arriving around noon. We are excited to share the garden with this group of avid Native Plant gardeners! In preparation, we have vigorously weeded out the queen Anne’s lace and spotted knap-weed that continues to challenge us. 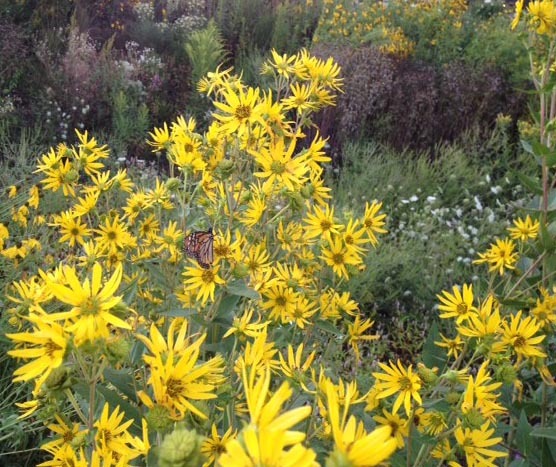 Gold Finches, swallowtail butterflies and many pollinators visit the garden for food and shelter. Nearby human community members have also discovered the garden as a source of education and delight. We are happy to hear that more people are enjoying the garden and share our love and wonder at beauty of our natural world. We have begun our spring cleanup sessions. 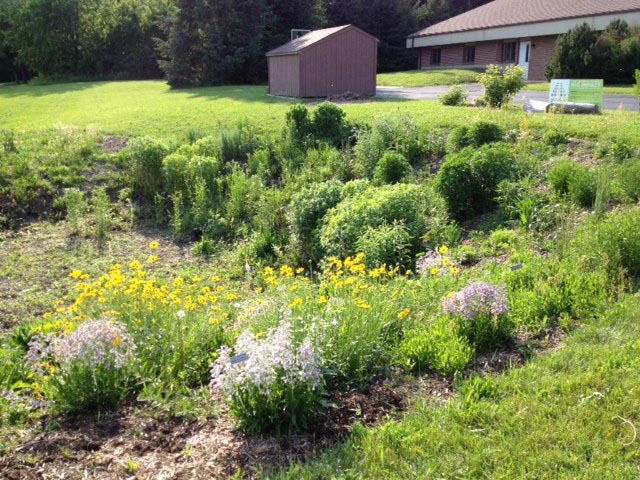 Friends of Skyridge Wildlife Garden met on Friday, May 1st and Monday, May 4th to pull weeds and mark the emergence of new growth in the garden. Many thanks to Marilyn, Karen and Nichole for their dedication and diligent efforts!! We accomplished a lot, but there is still plenty to do! We will be meeting periodically to continue our weeding and care for the garden. Many plants have established well and multiplied. Others need defending from weeds and over-eager wildlife munching. (We support a bit of deer and rabbit browsing, but we want there to be plenty of plants remaining to sustain our diverse variety!) 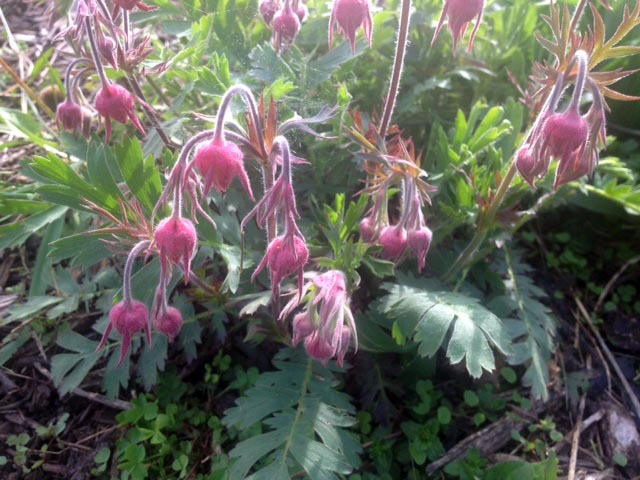 Prairie Smoke and Prairie Ragwort are some of our earliest bloomers. Native Michigan Heuchera and Downy Sunflower are beginning to show their distinctive foliage. 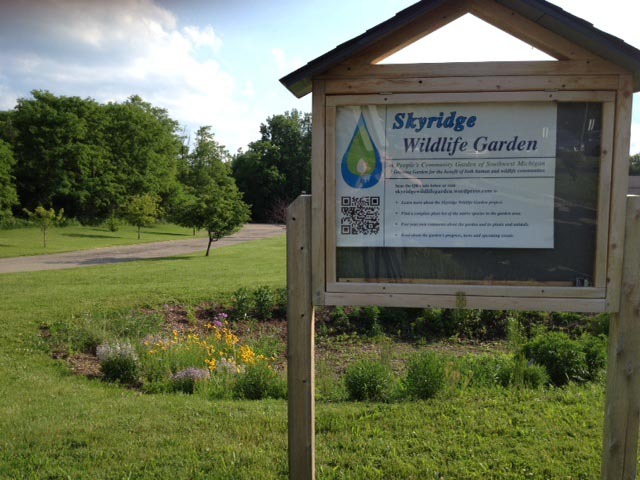 Become a Friend of Skyridge Wildlife Garden! 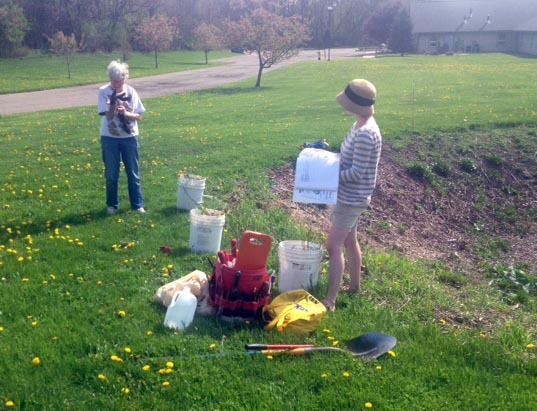 If you garden in or near Kalamazoo, we’d welcome your help! Just bring your own hand tools, a weeding bucket and a sun hat. Time spent helping in Skyridge Wildlife Garden is eligible for Master Gardener Volunteer hours, but it is not necessary to be a Master Gardener to participate. Contact the email below with “Wildlife Garden” in the subject heading to receive notification of upcoming work days and events. 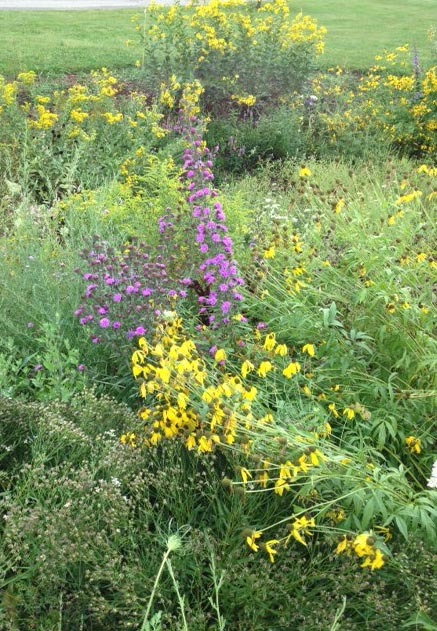 Native Liatris, Rough Blazing Star and yellow coneflowers bloom in the late summer garden. 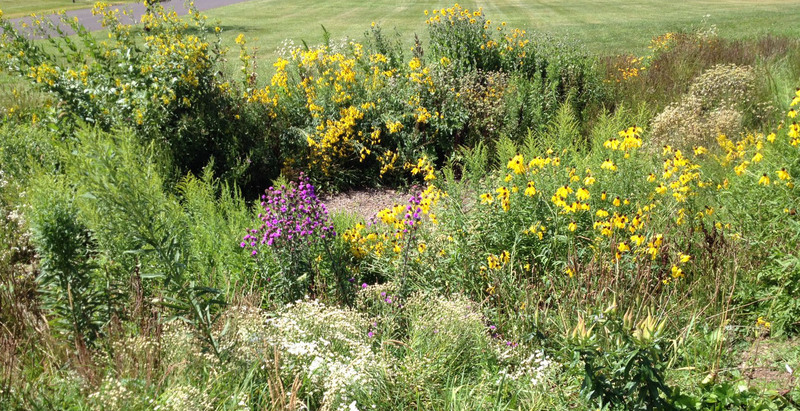 Late summer is a profusion of bloom in the Skyridge Wildlife Garden. Rough Blazing Star and yellow coneflowers bloom in August as wild bergamot and purple coneflowers fade into the background. Summer has gone fast! Our garden is booming. Many of our favorites will set seeds this year. Keeping up with weeding has been a challenge. 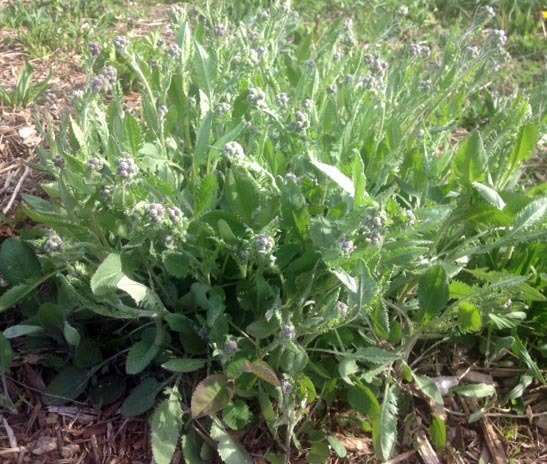 We have many non-native weeds to battle before the season’s end. A Welcome guest: This Monarch butterfly feeds on nectar from the Rosin Weed blooms. Monarch butterflies visit the garden. We hope that they will find a haven in our wildlife habitat to sustain them for many seasons to come. Skyridge Wildlife Garden has awoken from one of the coldest winters in recent memory. 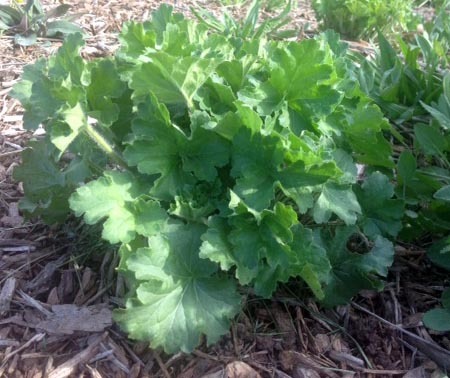 Our stalwart native plant varieties have been growing vigorously, but so have the weeds! 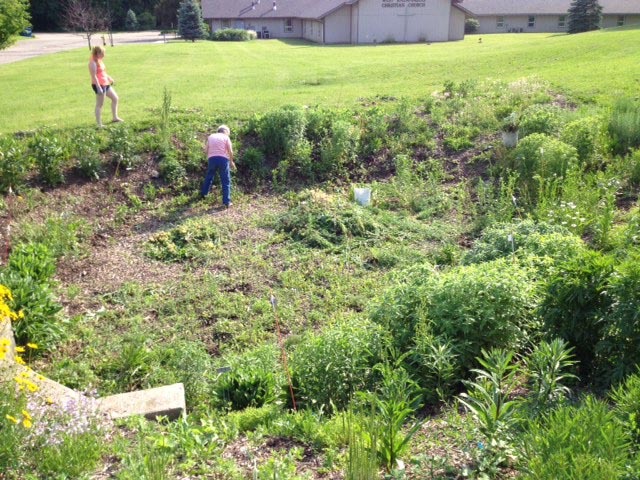 Marilyn, Devon, and Trish put in several hours of work pulling the most invasive weeds out of the beds. Burdock and Spotted Knapweed were the biggest threats. Some non-native daisies were picked for bouquets and their plants removed to the compost heap. Recent rains helped soften the ground to make our work easier. We celebrate the lush new growth of our plants. Bees, Butterflies, and a toad have made a home in our garden. A wild turkey strolled across a neighboring property as we worked.